1. Read The Trojan War, Chapter 5: "Aeschylus' Agamemnon: Dead Heroes and Wild Women--Controlling the Past," and Chapter 6: Euripides Two Iphigenia Plays: Human Sacrifice and Resolution." 2. Explore the links on the Classical Greek Dramas Transform Troy page. 3. Read through all the Activity questions before selecting Activities to work with. Some of the Activities are quite easy and may only require reading one text, while others are far more difficult, and may require reading more than one text or doing online research plus reading texts. Select Activities that interest you and are appropriate to the time you have to spend on them. You will not get a higher grade because you select a more difficult Activity. Some Activities that are especially complex will offer double credit; if so, that will be stated in the Activity question. If you select the double credit option, you must write "double credit" on your Activity AND you must develop your Activity in more depth, in order to qualify for the double credit. 1. The House of Atreus is one of the world's most famous dysfunctional families. Look up each of the family members, starting with Tantalus, write a brief biography of each, and then explain what the family's main problems were. Support your ideas with specific examples from your reading. Bulfinch's Mythology is a good place to start. Be sure to cite the sources you use and do not copy anything without attribution--that is plagiarism! It is better to paraphrase what you find, but you still must cite the sources used, or it is plagiarism! Plagiarized work will receive no credit and cannot be redone. 2. Consider the scene in Agamemnon by Aeschylus where Clytemnestra persuades Agamemnon to walk into the palace on valuable tapestries. She is treacherous; he is arrogant. He has sacrificed their daughter Iphigenia; she has taken his cousin as her lover. So who is to blame for what happens next? Do you think her killing of Agamemnon is righteous vengeance or criminal murder? Support your position with specific examples from the play. If you want to see what others think about this, go to The People vs. Clytemnestra and read through the arguments there. If you use those arguments, cite the source. 3. Why do you think Agamemnon in Euripides' Iphigenia at Aulis finally decided to sacrifice his daughter after many hesitations? What do you think would have happened if he had refused to do so? Use specific examples from the play to support your ideas. 4. The Trojan Women by Euripides focuses on women and children as the final victims of the Trojan War. But it also shows Helen at her very worst, selfish, cruel and manipulative, the original cause of the war. Do you think Euripides is trying to simply make us experience the terrible consequences of war, or do you think he is also saying something about the roles women play in violence? Develop your ideas and use specific examples to support your points. 5. The Trojan Women by Euripides centers on the conflict between Hecuba, Priam's widow, and Helen. Helen argues that she was driven to her behavior by Aphrodite (desire) and is not responsible for the Trojan War. Hecuba, of course, does not agree, and blames Helen for the destruction of Troy. Read through their argument carefully and decide if you think one of them is right, or if both are right. Develop your response with plenty of specific examples from the text. 6. Woody Allen's film, Mighty Aphrodite, uses a Greek chorus which gradually moves from Greece to Manhattan over the course of the film. Compare his use of the Greek chorus to its use in a Greek drama about Troy material that you have read. Be sure to support your ideas using specific details from both the Woody Allen film and the Greek drama. 7. Read Herodotus, Bk. VII, which includes a description of how the Persian King Xerxes stopped at Troy to sacrifice to the Trojan Goddess Minerva and to the heroes slain at Troy, before he invaded Greece. Do you think that this is an example of the Near East reacting to the Greek invasion of Troy? Support your position with reasonable arguments and examples. 8. What could be more dangerous than going off to war while a treacherous, adulterous woman stays at home? This is the threat of Clytemnestra. No matter how successful Agamemnon might be, he could not defend himself against his wife. 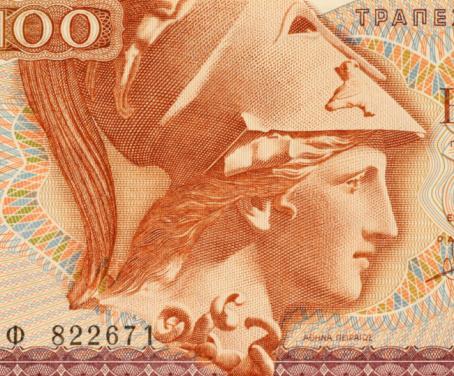 She is one of the most feared and loathed women in Greek literature. List some of her interesting behavior patterns in Agamemnon and explain why they make her seem so dangerous to Agamemnon and other Greek men of the time. You might want to look for background information using Diotima, which links to materials for the study of women and gender in the ancient world. 9. Compare the character of Agamemnon in Iphigenia at Aulis with his character in the Iliad. How is he similar? How has he changed? And so what? Use specific examples from both the Iliad and Iphigenia at Aulis to support your ideas. 10. In Book 3 of the Iliad, Helen is a rather nice woman, in the clutches of Aphrodite. Compare her to the cruel, manipulative Helen of The Trojan Women. What do these two Helens have in common? How are they different? And, so what? 11. Compare the character of Odysseus in the Iliad with his representations in Euripides, especially in Iphigenia at Aulis and/or The Trojan Women. How is he similar? How has he changed? And so what? If you have read the Odyssey, you might want to discuss his role there as well. 12. There are a number of excellent films of Greek Dramas that deal with Troy material, including Agamemnon, Iphigenia at Aulisand The Trojan Women. If you can locate one of these films, watch it and write a critical review, describing how the film interprets the drama and comparing it to the text of the play. 14. Go to the Classical Greek Dramas Transform Troy main page and select one of the links to a site that deals with the history of Greece. Look for information about fifth century Athens and try to get a sense of what it must have been like. Then look at the representations of Homeric heroes in a Greek play dealing with Troy, such as the Oresteia (Agamemnon, The Choephori, and The Eumenides) or The Trojan Women or Iphigenia at Aulis. How have the heroes changed? Do you have any ideas about why they have changed? Would you want a Homeric hero living in your neighborhood? Why or why not? Be specific, using examples from at least one drama as you weave these threads together.